Get ready to make a real ruckus in the game where everyone is racing to collect and steal card sets at the same time. It’s anyone’s game until the final card is played! Hours of fun await to be had with the L.O.L. Surprise! 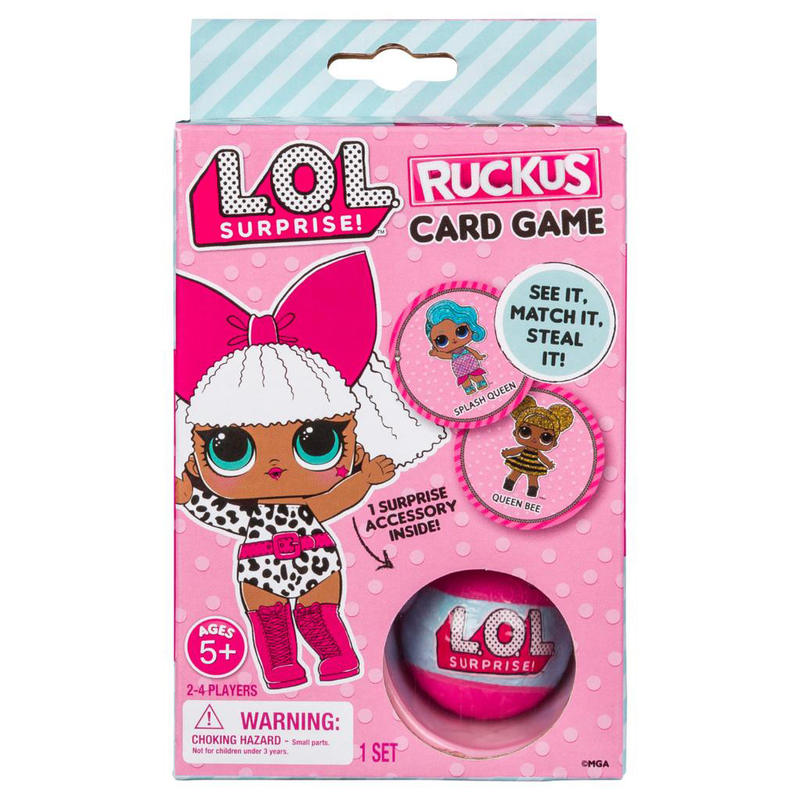 Ruckus Card Game. Comes with one L.O.L. Surprise! accessory. Features favorite character from the world of L.O.L. Surprise! Perfect gift for any fan of L.O.L. Surprise!